Max. lifting capacity is 12000kg, Max. torque is 600/1200~1600 N.m/r/min. The main boom in hexagonal cross section, the length full extended is 9m, and the length full retracted is 22m. The length of the jib is 7m. Front and rear outriggers are in H-type, which could offer large outrigger span. 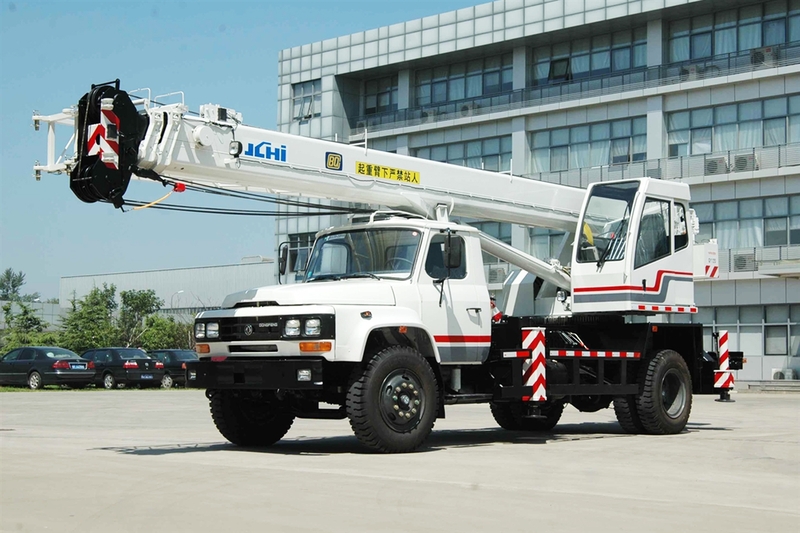 The chassis of the truck crane is Dongfeng, and engine is Tier III. All the oil tanks adopt the imported seals, and the hoist system adopts the variable speed type with grooved drum, driven by high speed hydraulic piston motor through winch reducer. Adopted the planet rotary speed reducer the rotary system equipped with the controllable slip and automatic hoist function. The crane adopts the lattice rotary table, rear amplitude hinge point and the new type of the arc-shaped sliding doors for the cab of the superstructure, which could provide nice appearance, high performance and high efficiency.